ConFavor – Context Menu Favorites grants you quick access to all your favorite folders, programs and other files from one menu. With its help you easy access all the photos, musik, documents and programs, which you often use. 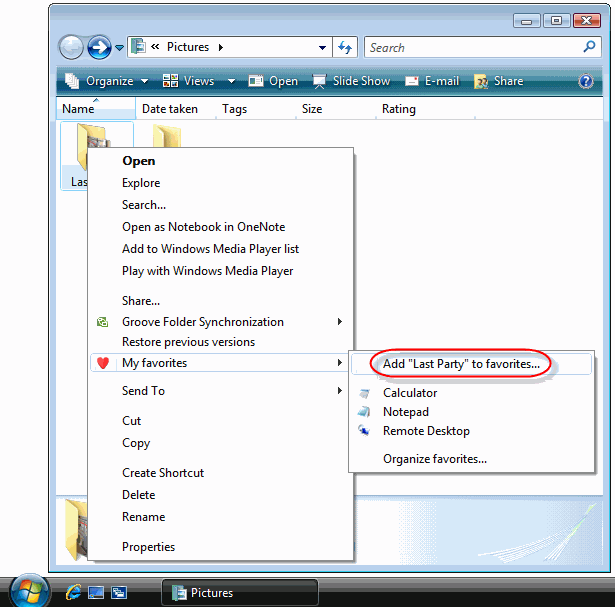 ConFavor - Context Menu Favorites gathers important programs, documents and folders with favorite music and photos in one place. It spares stress and time consumed for searching and opening the file every time it's needed. This small tool simplifies considerably file management, as well for a newbie as for an advanced Windows user.